It’s a pleasure to share with you, my Dear Readers, the third #MetsMonday featured post. This one is from Dr. Kelly Shanahan. Kelly was diagnosed with metastatic breast cancer in 2013. In her post, she shares about her recent advocacy work. She’s been very busy! Be sure to share a comment or ask Kelly a question in the comments. Thank you for sharing your voice, Kelly, and for all your amazing advocacy work. Miles for Mets: Four cities, three time zones, two weeks and one aching back! 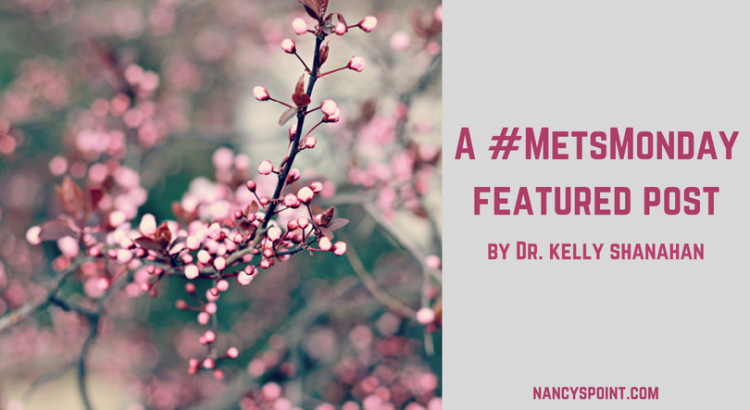 Metastatic breast cancer stole my career as an ob/gyn – hello neuropathy, goodbye the operating room. Time took away full-time parenting – a daughter attending college 500 miles away doesn’t need mom to drive, cook and do the myriad of other things moms do. Advocacy filled the gap and saved my sanity. April 2018 took me from my home in South Lake Tahoe, California to Chicago, Philadelphia, Boston, and Seattle in a great big circle devoted to learning, connecting, empowering and soul-searching. I am lucky I am able to do these things, both from the standpoint of health and financially. I know neither of these things will last forever. My disease will progress and my savings will shrink, but I’m grateful for these opportunities now. The American Association for Cancer Research Scientist↔Survivor Program (AACR SSP) is an excellent opportunity for cancer advocates to interact with both bench and clinical researchers, as well as with other advocates within and across cancer types. Other meetings, like ASCO, attract mainly clinicians and clinical researchers. Through the AACR SSP, I was afforded the opportunity to meet and be mentored by science researchers. I was also able to meet advocates from other cancer types. Such meetings allow us to learn from one another’s successes and failures in advocacy and form alliances that increase our reach and power. One especially powerful aspect of the AACR SSP is the access to influential researchers and policy makers. Where else can advocates spend 30 minutes with the Director of the NCI or an hour with the leaders of the FDA Oncology Center of Excellence? And this time is not merely listening to these leaders give speeches, it is interactive and collaborative. There is also an educational component to the SSP. Special interest sessions on topics ranging from immunotherapy to liquid biopsies to the drug development and approval process allow us to educate ourselves and our constituents. I chose to attend all these sessions and tweet to my followers because sharing information is one of the reasons I am an advocate. We all can’t attend conferences, but if every advocate who does attend shares what they are learning, many more patients and advocates can benefit. The other educational component is participating in working groups to answer big questions about cancer. These groups are made up of advocates across cancer types and scientific mentors. My group’s question on the complexity of cancer and how disciplines like physics, mathematics, and evolution may help us solve the riddle of cancer forced me to examine areas well outside my comfort zone and, therefore, learn things I would never have learned otherwise. It was an exercise in group dynamics as well. We learned how to use each other’s strengths and unique perspectives to achieve a goal – in this case a presentation to the entire SSP cohort that was informative and, I hope, interesting. I can learn more about metastatic breast cancer specifically by attending SABCS, but there is nothing better than the AACR SSP for achieving growth as an advocate. Through this program, I learned things about myself that will help me be a more effective advocate. 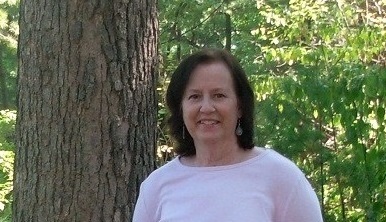 I developed contacts that will allow me to collaborate with other cancer advocates, especially in legislative advocacy. I have a big idea to wrangle some of the other advocates and researchers I met into helping me develop a program to educate cancer patients and advocates about the science of cancer, because the more we know about our disease, the less we fear and the better we can be partners in our treatment decisions. Knowledge is power, and the AACR SSP is an excellent means to gain knowledge. I encourage every advocate to apply. The Living Beyond Breast Cancer metastatic conference is one I try not to miss. Since being diagnosed with metastatic breast cancer in late 2013, I have attended the LBBC mets conference in 2015, 2017, and 2018, missing 2016 because it conflicted with preview weekend at my daughter’s top two college choices, and we know kids always take priority! While there is certainly an educational component to LBBC, I don’t go for that. I go for the hugs. LBBC is the best place to gather with other metastatic people, many of whom we bond with online. It is a place to see friends, sometimes for the last time. It is a place of laughter, love, and tears. LBBC is where METUP was born. I was at that very first die-in in the upstairs hallway of the hotel where the conference was being held. It was my introduction to advocacy and cancer activism. I served as METUP’s medical director for two years and was honored to host the die-in in 2018, incorporating a theme and guest speakers for the first time. We spoke of diversity and disparities, and the powerful words of Terlisa Shepherd, Michael Kovarik, and Deborah Croskrey moved those in attendance and those viewing on social media. I am proud that my tenure with METUP ended on such a positive, collaborative and inclusive note. Collaboration and inclusion were the topics of a meeting I arranged at FDA headquarters in Maryland. Terlisa, Michael, April Knowles and I headed down I-95 to meet with, I thought, Dr. Tatiana Prowell and a couple of members of the FDA breast oncology team to talk about clinical trial eligibility requirement reform and including more metastatic patients on FDA panels. After clearing airport style security, the four of us walked into a conference room where over a dozen people were waiting for us, including Dr. Richard Pazdur, the head of the FDA Oncology Center of Excellence. To say we were stunned is to put it mildly. We were all able to speak, and I feel we were heard as well. Dr. Pazdur tasked members of his team with following up on our concerns and questions. This meeting reinforced my desire to work with agencies and other organizations, and I look forward to becoming more involved at the FDA, especially in partnership with Dr. Prowell who is a strong supporter of the MBC community. To be accurate, I was in Cambridge, across the river from Boston, and home to the Broad Institute and the Metastatic Breast Cancer Project. A casual comment a year ago to Corrie Painter and Nikhil Wagle about wanting to help with the project led to the opportunity to join the team as a data abstractor, reviewing medical records and extracting information on treatments and progression that will be tied to the genetic and genomic data. Researchers all over the world, as well as us patients, are able to access this deidentified data and use it to figure out why cancer metastasizes in some and not others, how it mutates to outsmart treatments, and how we can predict who will and will not respond to a given treatment, among other questions. Reviewing the sometimes voluminous medical records is a current choke point, one that requires human eyes and medical training to sift through the pages and pages of notes and reports to find the necessary nuggets of crucial information. The Broad Institute is an impressive place, filled with really smart people doing really important work. The MBC Project team is young and dedicated, and I am honored to be the token old person helping out. A snarky comment on a tweet in which a friend tagged me landed me in Seattle. My friend thought I’d be interested in a conference on health care disparities, and I was, but the advocate registration fee was high, which was the subject of my snark. The organizer of the conference, Dr. Binay Shah of the Binaytara Foundation, saw my comment and waived the registration fee, not only for patients and advocates, but also for medical students and residents. I felt obliged to go after that, and I’m glad I did. Excellent speakers educated us about the worldwide disparities in cancer care and the innovative ways in which some of these inequities are being addressed. Other advocates asked questions and spoke about their organizations, giving me ideas that can be translated to metastatic breast cancer advocacy. This conference also reminded me how lucky I am, despite this disease. Yes, there are access and cost issues here, and I live in a community where our local hospital would rather spend money on a fancy new building for the orthopedic surgeons rather than an infusion center and part-time oncologist so patients don’t have to drive over a mountain pass in order to get chemo, but at least there is an oncologist an hour away. Some countries only have one or two oncologists to serve their entire population. Fifty-seven hundred miles, two chiropractor visits and one massage later I’m back home in Tahoe. My aching back is at its normal, filled-with-mets level of discomfort. There’s no place like home – until the next conference. 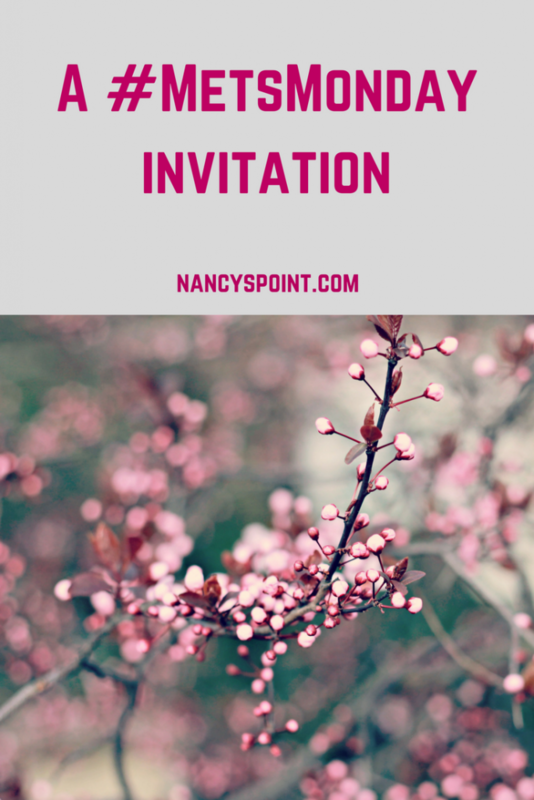 Sign up to get weekly updates from Nancy’s Point! Keeping it real. Support you can use. Kelly Shanahan is a (former) obstetrician-gynecologist who has been living with breast cancer for 10 years, 4.5 of those years with metastatic breast cancer. 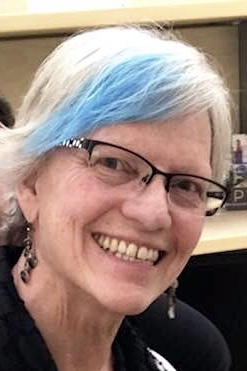 Neuropathy made it impossible for her to practice medicine, so she keeps herself busy with advocacy and as member of the Metastatic Breast Cancer Project team. Kelly lives at beautiful Lake Tahoe with her husband and two labradoodles and spends as much time as she can making memories with her 19 year old college student daughter, traveling the world, attending concerts and paying her Target bill! Do you have a question or comment for Kelly about one of her recent advocacy trips or about something else? Do you have metastatic disease, or do you know someone who does? What do you want people to know about metastatic breast cancer? Would you like to contribute a piece for a future #MetsMonday featured post? Click on the image to learn more. Kelly is one of a kind…always smiling & exuding energy with enough enthusiasm to light up a city! I wish her well in her continued journey to help the plight of MBC. Carol, Have you two met? Kelly sounds like an amazing person and advocate. Thank you so much for commenting. I think your being so busy with advocacy work is admirable and so needed. Thank you for all you do!